Mamita Peruvian Restaurant – Bimmer or Benz? When you think of Peruvian, I don’t know about you, but I think of Mario’s in Los Angeles. It is almost the perfect food. You have tender beef, amazing rice, and fried potatoes, all with a spicy creamy green sauce that is too addicting for your own good. I was craving this while I was in Glendale, and needed my Peruvian fix. 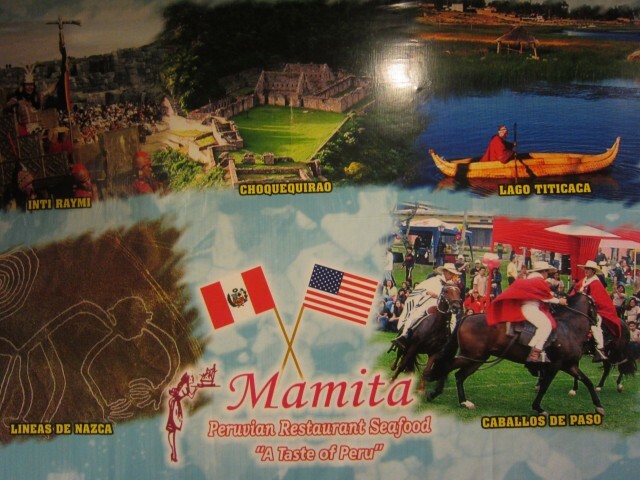 I found Mamita Peruvian Restaurant situated between the Mercedes Benz and BMW dealership on Brand. A bit odd and out of place, the restaurant seemed to have a certain quality to it. 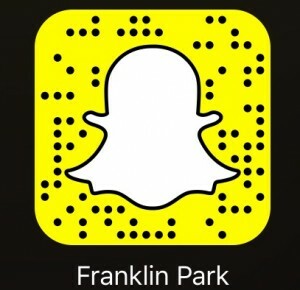 It was for me to try it out and see what this place had to offer. To test the two, I ordered exactly what I would order at Mario’s. 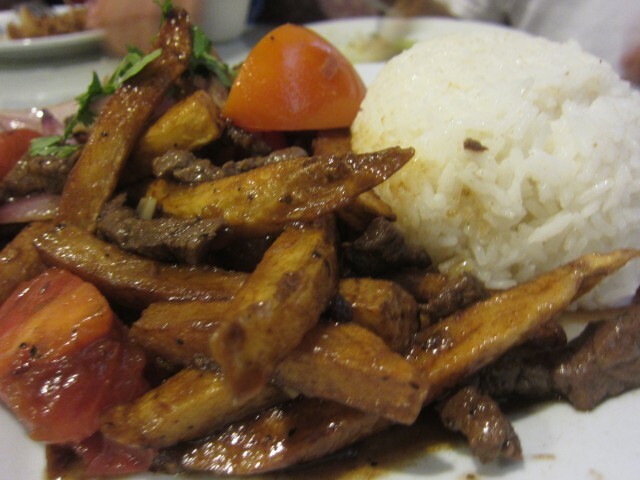 Of course, I had to order the lomo saltado. The beef strips, stir fried with fries, onions, tomatoes was served with rice. Though the beef was a bit dry and not as “greasy,” the food was still quite good. 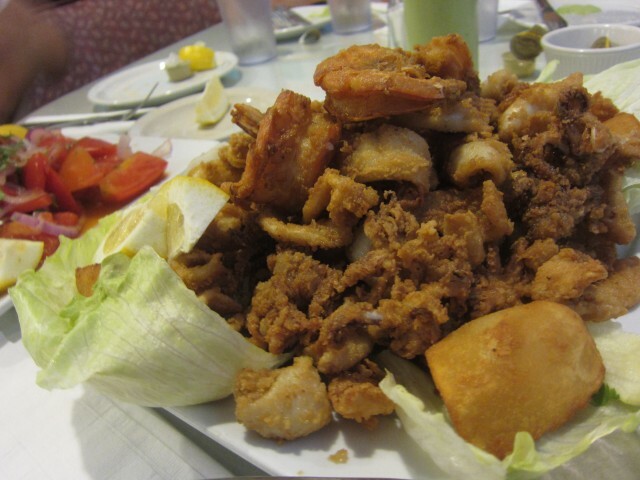 To share, we ordered the Jalea de mariscos. Seafood is tastiest fried. On the platter was fried fish filet, topped with fried calamari, criolla salsa, and fried shrimp. Again, the seafood was great, but the crisp and batter was a bit lacking. Mario’s has a nice crisp and perfect seasoning throughout. Mamita’s had nice selection of seafood, but the batter was sub-par. With anything fried, if the batter isn’t good, the whole dish suffers. 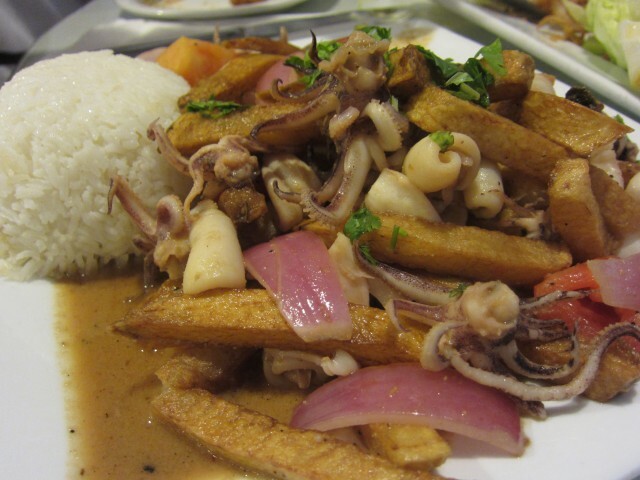 Aside from beef, I like to get the saltado de calamares. Stir fried with calamari, fries, onions, and tomatoes, the dish was tasty. The rice was a bit lacking here. It tasted more of regular white rice — no flavor really. The ingredients seemed too separated. Nothing really brought it together. All the ingredients were just there for eating. I had to order the Peruvian style chicken fried rice. It always comes out like I would make it — something I can make at home. It even tastes like someone Korean made it. 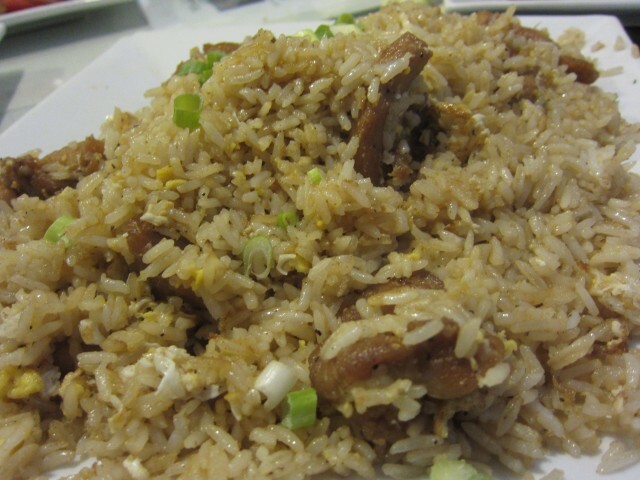 It has bits of egg, rice, chicken, and has a hint of soy sauce and light sesame oil. I am not really particular to this dish, nor do I crave it. I just order it because it reminds me of home. What makes peruvian food great is the aji verde sauce – the green sauce that is so spicy and creamy. 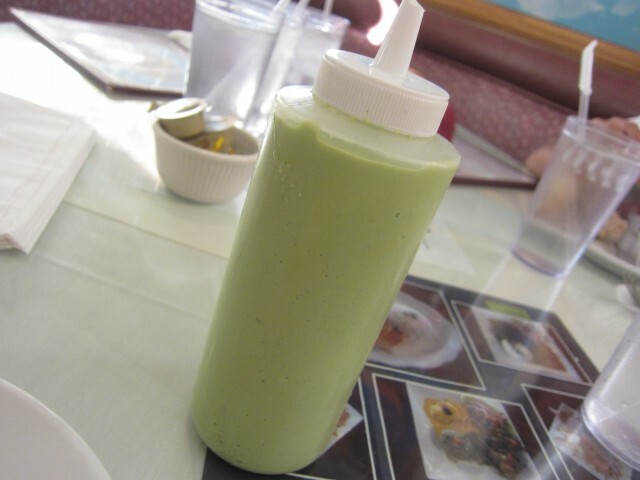 Mamita’s verde sauce was subpar, unfortunately. It didn’t have the kick and spice that Mario’s green sauce has. This one was a bit milder, had a lot less seasonings, and a bit watery. The sauce is key in Peruvian food; that’s what made me fall in love with it. Restaurant for restaurant, Mamita and Mario’s is pretty much a duplicate. The size, menu, price, and feel of the restaurant is the same. You get your bread and butter, verde sauce, and all the classic Peruvian dishes. Honestly, Mario’s does it a tad bit better, especially the important, all mighty green sauce, although, Mamita does do a good job. Blind fold me, and I think I can tell the difference between the two. Honestly though, if you are in Glendale, would you drive 30 minutes for Mario’s or go to Mamita and go shopping for Bimmer afterwards?